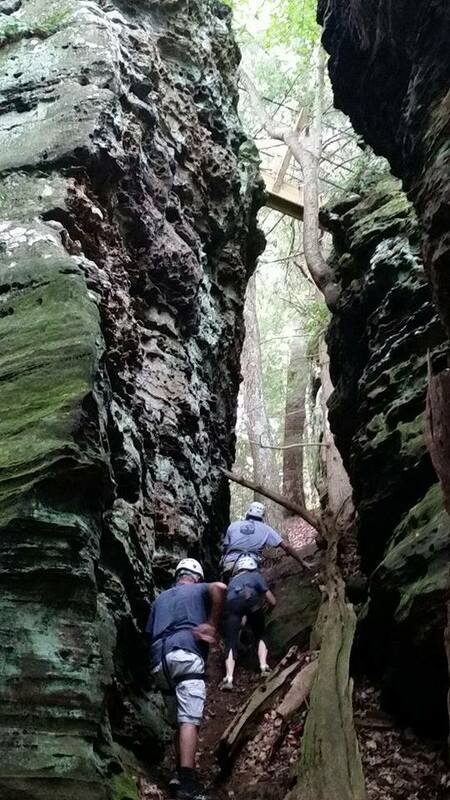 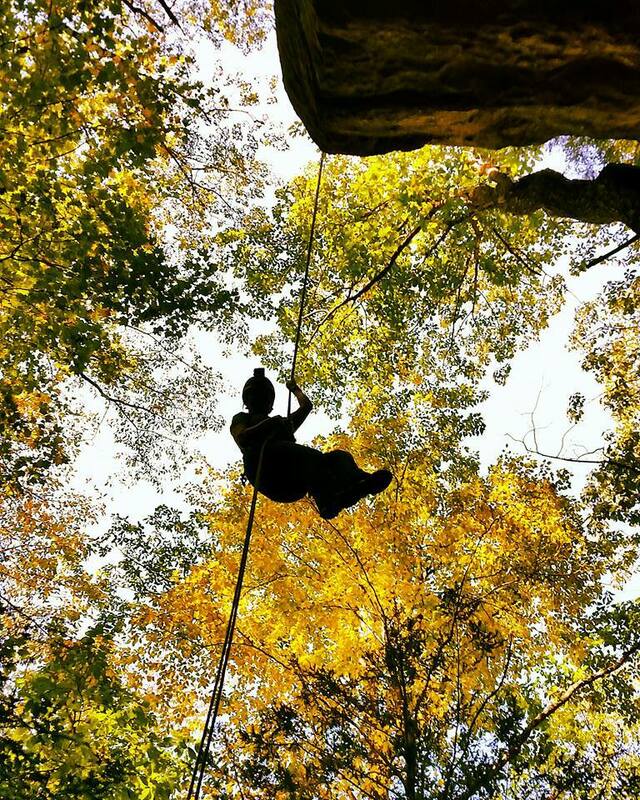 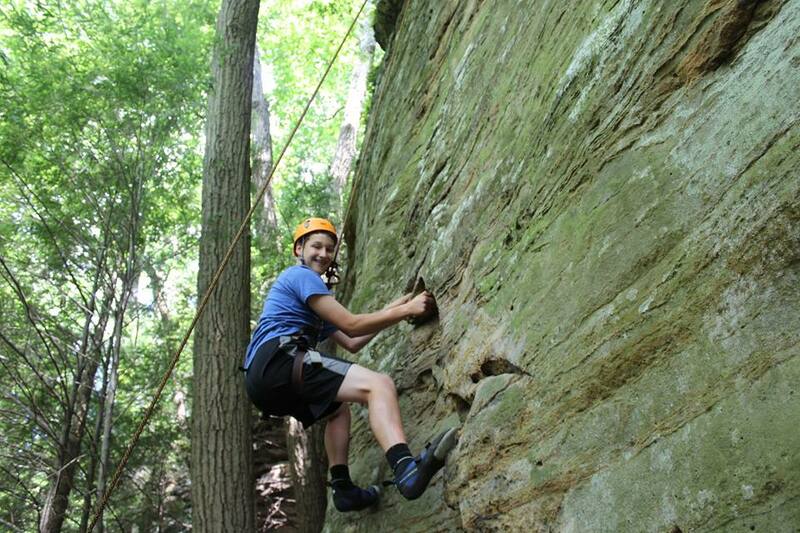 Awesome Rappelling and Climbing tours for beginners through advanced on towering natural sandstone cliffs on private pristine property in the Hocking Hills. 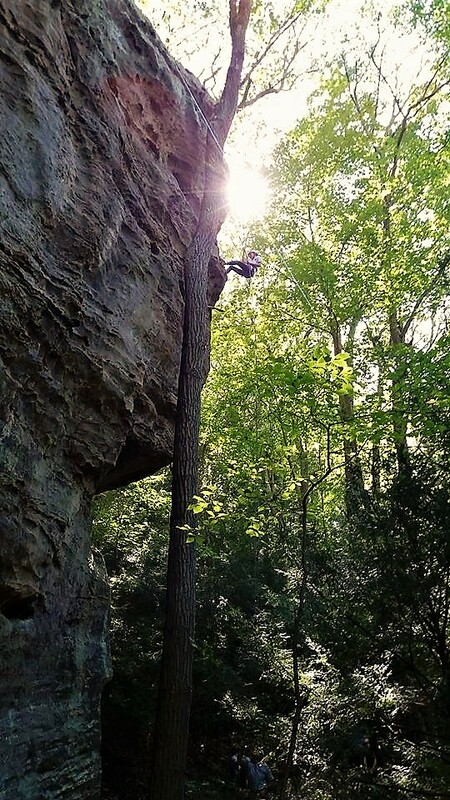 Our unique, one of kind Rock Challenge Tours that include squeezes, crawls, rock boulders, stationary climbing, and more. 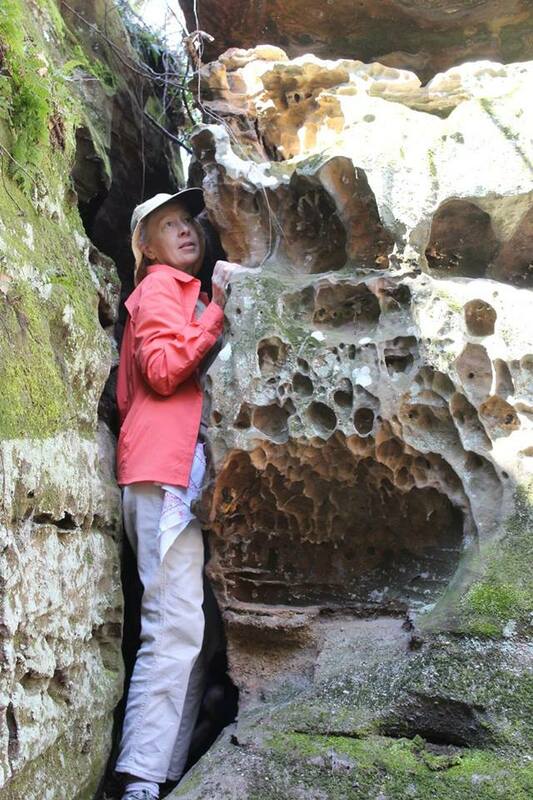 Eco-Nature tours featuring edible and medicinal plants, geology, history, and a few of our one of kind rock challenges, seeing all the awe-inspiring beauty of High Rock. 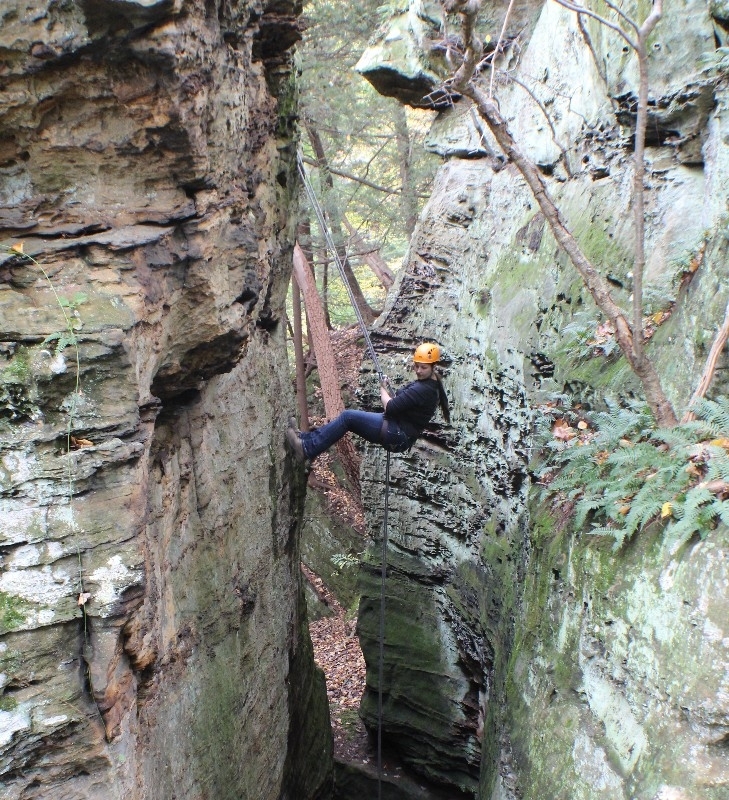 One of the Higher Rappels at High Rock - Pride Rock, Experience the Thrill - Nature Rocks! 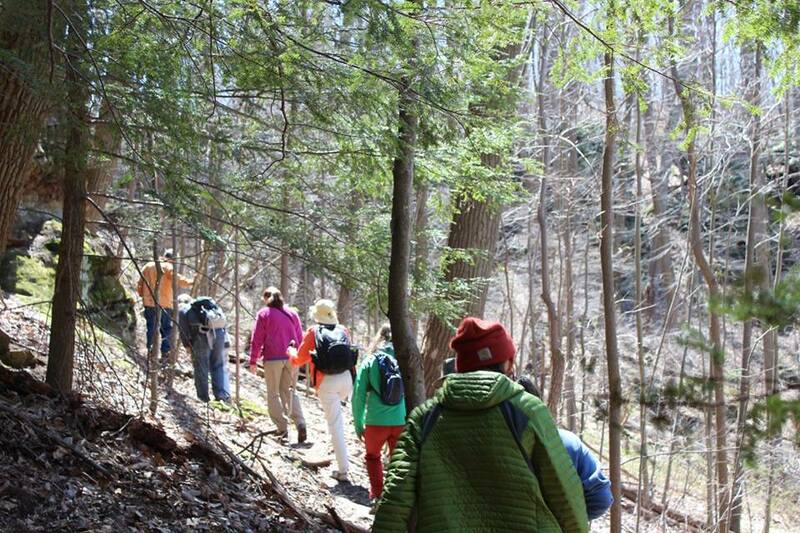 Nature based workshops and our Ecotours all include Adventure elements, Education, and Awesome Fun!